I can FINALLY spill the beans. No. I’m not pregnant. But thanks for assuming! 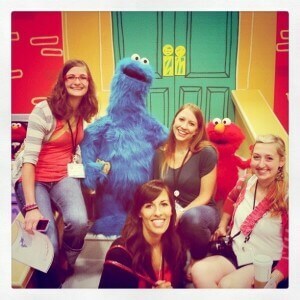 While at BlogHer, Playskool had a booth set up with the steps to Sesame Street and a contest. Tweet a picture of yourself sitting on the steps of Sesame Street along with some prefab tweet, and you’ll be entered to win! On August 18th, I got an email saying I’d won. Then I pooped my pants. Then I read the email again. Then I had a seizure, then read the email again…and so on and so on. It was real. We (all three of us!) were scheduled to go on September 30th, the hubs’ birthday. 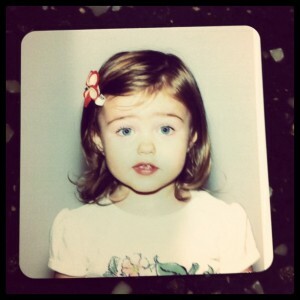 We didn’t have much time, so we immediately went and got Abby her first passport. Then Hurricane Irene hit and damaged the Beaches resort. We had our fingers crossed it would reopen for our trip, but alas they wouldn’t. Our trip was postponed with no idea when we would be going. (In all honesty, the hubs and I were both in the midst of dealing with our awesome dual anxiety issues, so it was probably for the better.) Finally we got the word, we’d be getting a trip voucher to cash in at any time in the next year (with blackout dates, of course). We still didn’t know when we were going. And being the supersticioius jerk I am, I didn’t want to get excited (read: post anything about this awesomeness) until we had solid dates set. Well, we have our dates, though not our first choice (which was early March) – but we’ll be going mid-April. 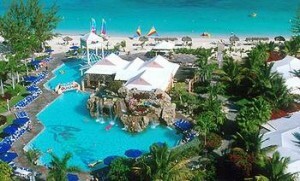 WE’RE GOING TO THE TURKS & CAICOS IN APRIL. I’m so excited. So, there you have it. We’re going on a trip! (In April.) BUT WE’RE ACTUALLY GOING! 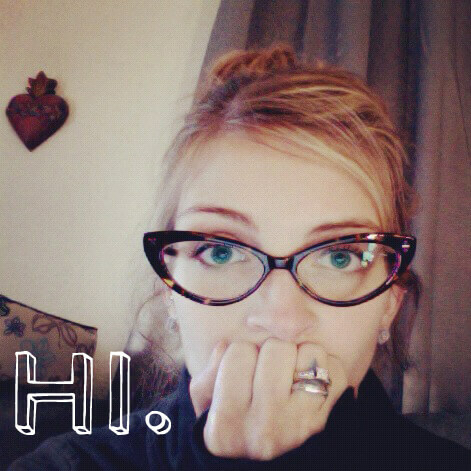 In other news, I’m going to attempt the Feb photo a day thing, again. Maybe I’ll actually stick to it this time. Holy amazeballs! I can’t say I’ve never won anything before, but definitely nothing as awesome as that! CONGRATS!!!! Are you able to go back to that resort or are you going somewhere else? Looks beautiful. April is just about still winter in Minnesota anyways right? Ohhh! That is so awesome. Congrats! Erika recently posted..Green SMOOTHIE love. Wow! Congrats and have an amazing time!